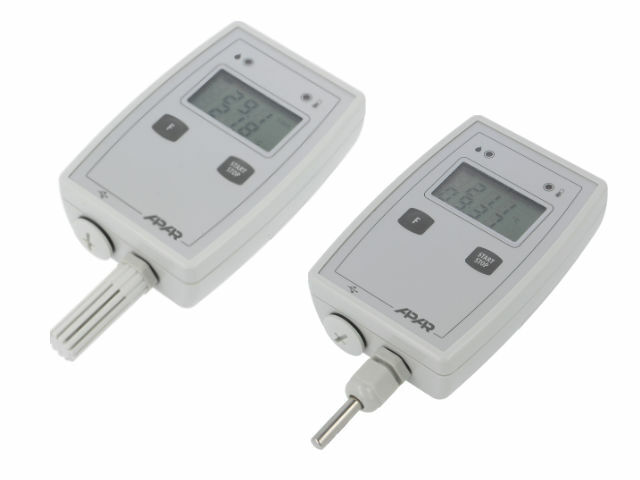 TME's offer now includes new AR23x portable humidity and/or temperature loggers with LCDs from APAR. The AR23x loggers have a sealed housing, making them suitable for challenging environmental conditions. Their configurable architecture makes them usable in numerous fields and applications (for industrial, office and residential environments, both indoors and outdoors, e.g. warehousing, production, transportation, food sector, pharmacy, medicine, horticulture, laboratories, etc.). Data is saved to a standard text file located in each sensor's internal memory that can be read using a USB interface and available software for editing spreadsheet files.